The snow conditions in the mountains of south west Norway are very good, and the weather is fantastic - warm, blue skies and no wind - so let's hope that it continues for Easter. This has been the warmest winter on record in northern Europe, but many resorts in Norway are having their best season for many years. The Sirdal resorts near Stavanger have great snow conditions and the weather at the moment is breathtaking - blue skies, no wind and temperatures climbing fast during the day for unforgettable skiing. Don't take our word for it - get up there and check for yourselves! Tjørhomfjellet has a new main "red" run down from the chairlift, and their main "blue" run is also well-prepared. Ålsheia also has a new button lift and runs down for this season, as well as a raft slide and snowmobile track for their teambuilding and events business. 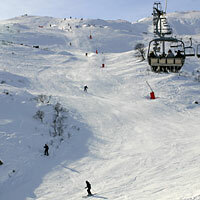 There are many places to ski near Stavanger and many ways to arrive here. 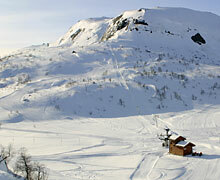 Why not take a look at our Stavanger and Sirdal skiing weekend break?